The government has appointed Tariq Bajwa, a BS-22 officer of Secretariat group as Secretary Finance Division on Friday. The notification issued by the Establishment Division stated that Secretary Economic Affair Division Tariq Bajwa is transferred and posted as a Secretary, Finance Division with immediate effect and till further order. Bajwa was transferred to Economic Affairs Division (EAD) in November 2015 when he failed to achieve the revenue target as a Chairman, Federal Board of Revenue. Secretary Finance post was vacant after the retirement of Dr Waqar Masood on 21 January and the government had given the additional charge to Dr Shujaat Ali who is currently working as the Special Secretary in Finance Division. It is worth mentioning here that Tariq Bajwa is due to retire on June 18, 2017, and Finance Minister has to refill this important slot yet again in June. Sources claimed that government will also announce 2017-18 budget on 27th of May, this year. On the other hand, Government is also considering appointing Member Operational Dr Irshad as chairman FBR till his retirement on 22 April 2017, currently he is looking after the matters of FBR. Sources told this scribe that Advisor to Prime Minister on Revenue Haroon Akhtar is lobbying for Dr Irshad who is grade 22 officer from Inland Revenue. The government had promoted Dr Muhammad Irshad from grade 21 to 22 on August 5, 2016 by surpassing four senior officers of FBR Haroon Mohammad Khan Tareen, Rana Ahmed, Riaz Ahmed Khan and Seema Majid. These officers had filed a petition against the promotion of two junior FBR officers. An informed source told that Shahid Mehmood and Rizwan Ahmad have become the hot favourite for the position of Secretary EAD after issuing the notification of Tariq Bajwa. 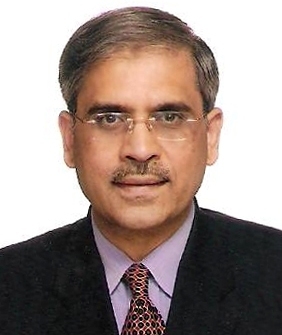 Mehmood is currently serving as the advisor to the International Monetary Fund’s Executive Director since February 2015 and Rizwan Ahmed is working as the chairman Trading Cooperation of Pakistan. The post of foreign Secretary has remained vacant after the appointment of Aziz Chaudary as Pakistan’sAmbassador to America. There are rumours about that the aforementioned post being filled by Abdul Basit- Ambassador to India, Tehmeena Janjua- Ambassador to Geneva, and Syed Ibne Abbas- High Commissioner to the UK.